After a long break Gionee knocked the doors with bang! The heart stealing feature of this smartphone is 6000 mAh battery, means lots of surfing, lots of gaming, lot of Music without thinking of charging. This smartphone is exclusively available on flipkart and you can buy it now from there. It is priced 17999/- only. You can say this is one of the best phone in mid budget range. Marathon M5 comes with Mediatek octa-core processor clocked at 1.3 GHz. Processor of the phone is clubbed with 3 GB RAM and 32 GB internal storage. You can also expand storage up to 128 GB. In price range RAM and internal is good enough but processor is not as powerful as other devices in range. It we talk about OS then it comes with Android 5.1.1 Lollipop along with Amigo 3.1 interface. You can turn your smartphone into smart remote to control your TV. There is no further news about Marshmallow update of this smartphone. It has 13 MP of rear camera with flash and 5 MP of front camera for selfie. Camera also has great features like Geo-tagging, Panorama, HDR, Take Anytime, Professional, Magic Focus, Face Beauty, Pic Note and Ultra Pixel. You can click nice pictures with this camera. It comes with 5.5 inch of HD display with 720p resolution. It has AMOLED touch screen along with gorilla glass 3 protection that gives a great touch experience. 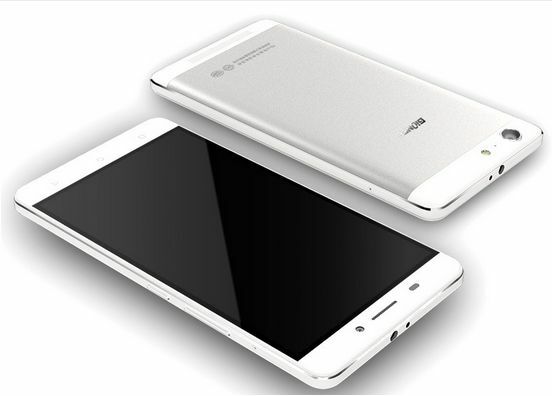 It comes with 6062 mAh Li-Polymer non removable battery. It give you the real experience of very long run with single charge. You can do lot of gaming, music and browsing with it. You can also use it as power bank, so help your friend by giving them charging via OTG cable. It comes with 4G LTE (both SIM) connectivity along with 2G and 3G. You also have connectivity options like Wi-Fi, Hotspot, Bluetooth, USB 2.0 and GPS. Phone has the biggest feature as 6000 mAh battery so if you don’t want to charge you phone the go for it. It has perfect RAM, internal and Processor combination but disappointment is clock speed (1.3 GHz). Other devices in the same range has better camera and display pixel density so you may also for them.